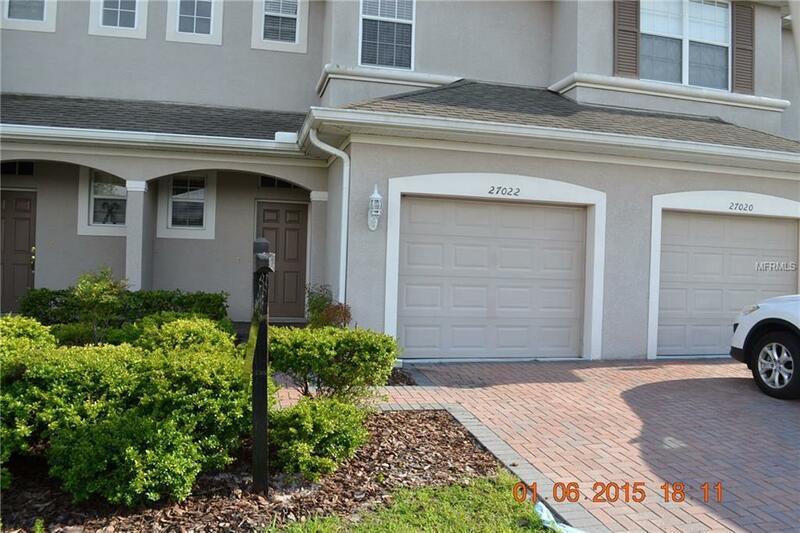 3/2 & 1/2 TOWNHOME IN GATED COMMUNITY & COMMUNITY POOL ACCESS. GREAT ROOM, DINING AREA, ISLAND KITCHEN WITH BREAKFAST BAR, INSIDE LAUNDRY ROOM UPSTAIRS WITH WASHER & DRYER INCLUDED. WINDOW TREATMENTS AND CEILING FANS. SCREENED BACK PATIO, COVERED FRONT PATIO, SINGLE CAR GARAGE WITH OPENER. CARPET & TILE FLOORS. ONE SMALL DOG WITH OWNER APPROVAL, 20 LBS. / 20 IN. NO CATS PER OWNER. Pet Restrictions One Small Dog With Owner Approval 20 Lbs. / 20 In. No Agressive Breeds No Cats Per Owner.